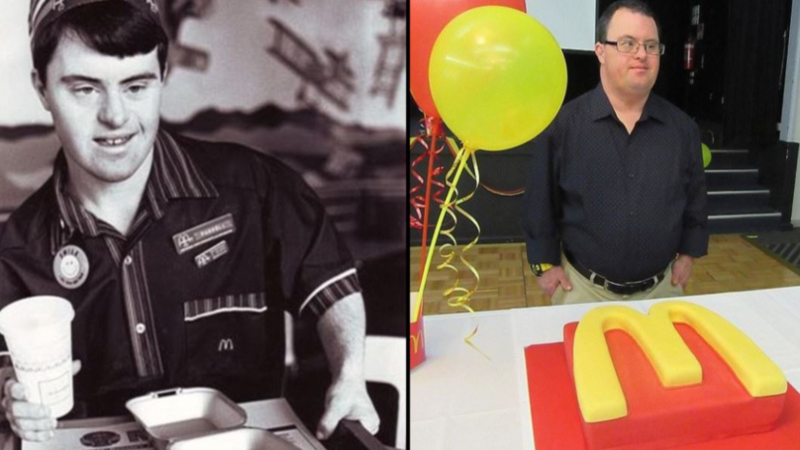 An inspirational McDonald&apos;s staff member with Down&apos;s syndrome has cleared his last table under the golden arches after 32 years working for the company. Fifty-year-old Russel O&apos;Grady first took on the job in 1986 at the Sydney West branch, at the age of 18, and was a popular employee among his colleague and customers. His supervisor, Courtney Purcell, has called him an &apos;icon&apos; and the &apos;best-known person in Northmead&apos;. She said: "We&apos;ve got regular customers who come in to see Russell on Thursday and Friday, and the staff look after him, so we&apos;re going to miss him." In his 32 years&apos; service to the company, his family members have said the career has really changed Russell&apos;s outlook on his life. 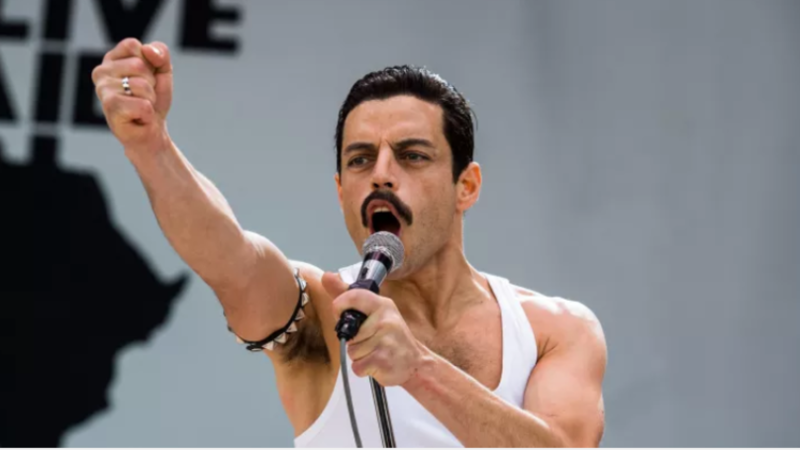 His dad, Geoff, told Daily Mail Australia: "Somebody said to him, &apos;Are you handicapped?&apos; and his answer was &apos;I used to be when I went to school, but now I work at McDonald&apos;s.&apos;"
Geoff explained people have stopped in the street to shake his son&apos;s hand, adding: "He&apos;s very affectionate, dearly loved and appreciated, to such an extent that we just don&apos;t believe it." 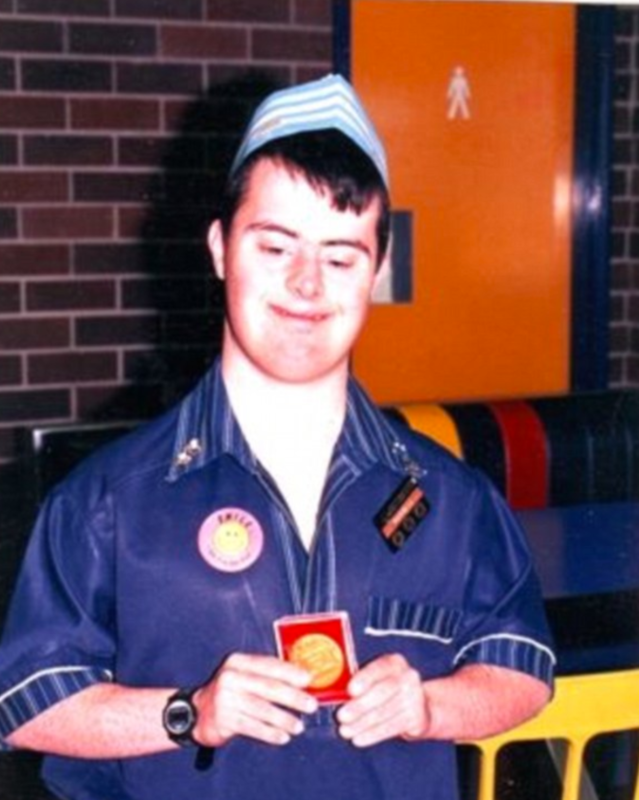 Russell started working for the fast food restaurant at a time when it was less common for people with learning disabilities such as Down&apos;s syndrome to embark on career paths, but such is his popularity, his brother Lindsay said, he&apos;ll be missed at the branch. "He&apos;s kind of blasé about it but loves his work very much. 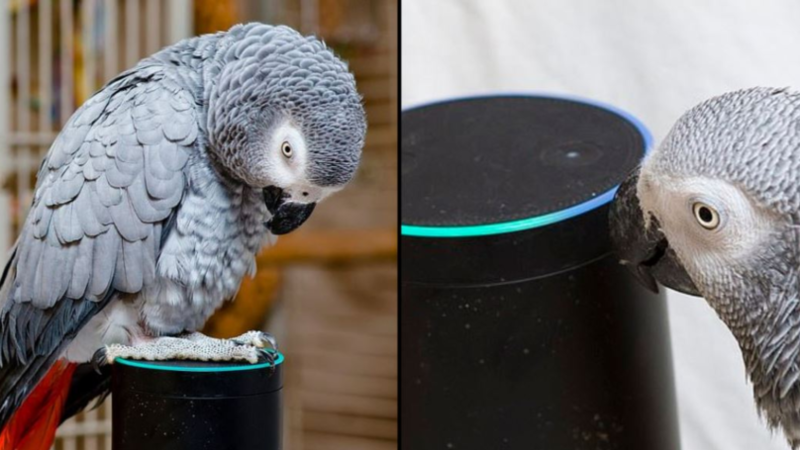 He&apos;s pretty cheeky sometimes. 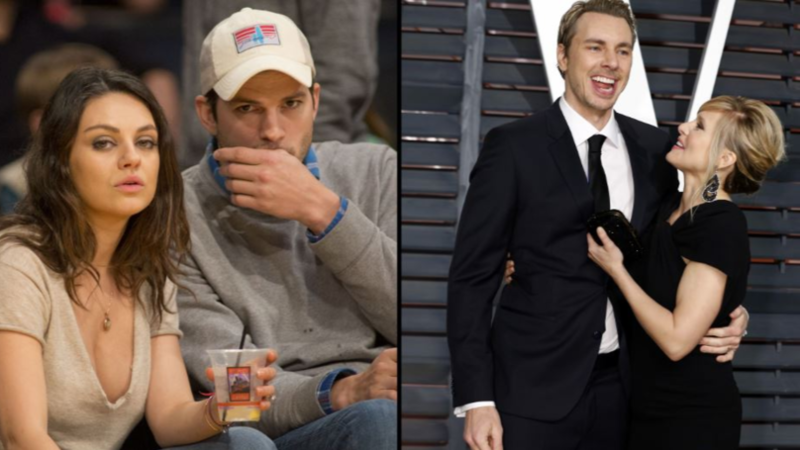 He&apos;s my big brother and he keeps me in line," Lindsay said. 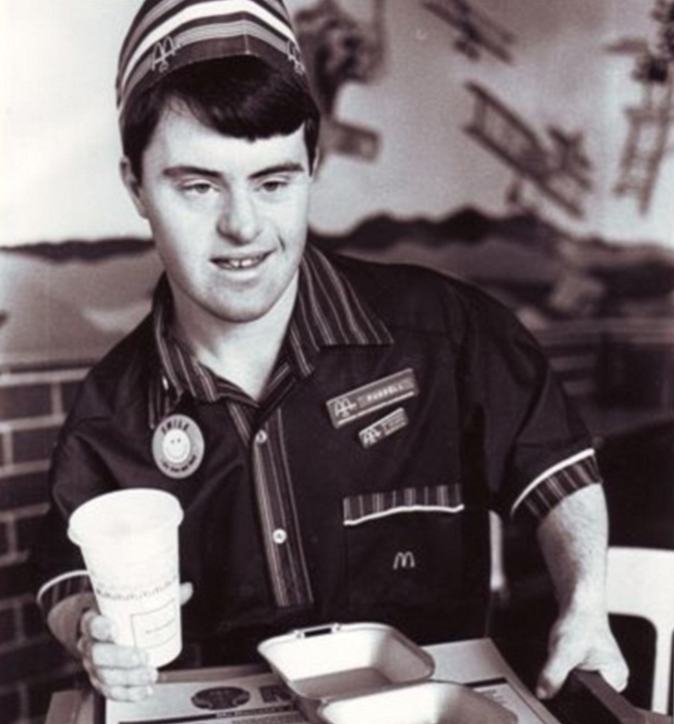 In the UK, there are approximately 40,000 people with Down&apos;s Syndrome, but only 8,000 are in full time employment. Fewer than two in 10 people with learning disabilities have jobs, but charities like the Down&apos;s Syndrome Association are working to improve the situation. 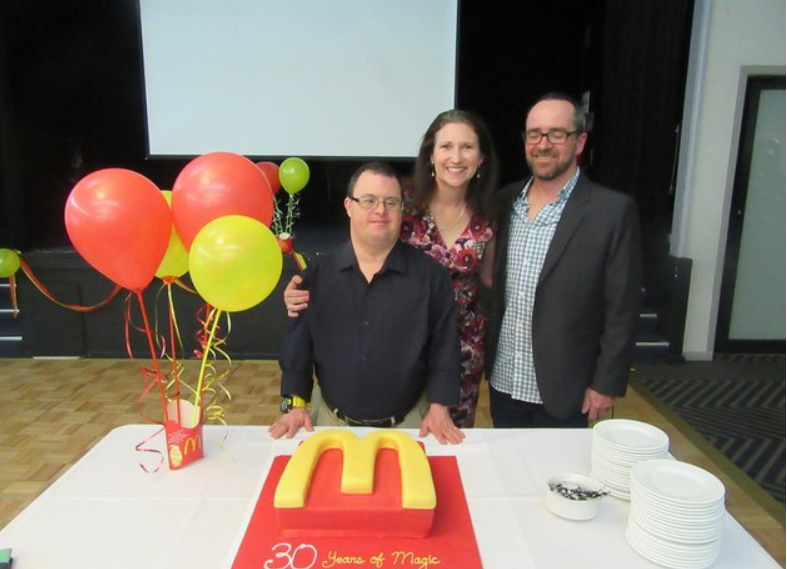 And two years ago, when Russell celebrated his 30th anniversary with McDonald&apos;s, the company had a special cake made for him. 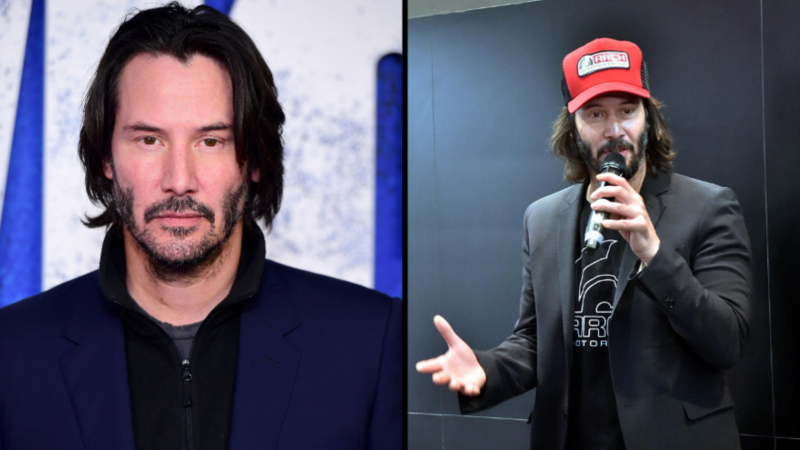 But while he&apos;s loved his time working there, he decided that retirement was the best option due to his health. He may be hanging up his apron for good, but he&apos;s an employee whose name will live long in the memory for his co-workers and customers. Rachael is journalist from West Cumbria, recently moved to Manchester for an exciting opportunity at LADbible. She used to work as an editor of a small newspaper, in Cumbria. Outside of work Rachael loves plenty of coffee, running and reading.